The most precious gift from Soufeel | Dymps and Dimes. SO, I was recently contacted by http://soufeel.com to gift me with some beautiful Jewellery. First off, I am so humble and grateful every time this happens - I cannot always respond to emails to review products because I barely even have the time to compose posts (life of a full time worker who wishes she was a full time blogger) but when I do say 'yes' I am conscious about what the company wants me to do/how they want me to portray the product - and I ain't gon' lie, some companies can be very particular on how they want the blogger to present the post so it was a huge surprise that SouFeel had no requests. I kept nagging Jesse asking if there is anything they would like me to include or not include and, nope, nothing. I couldn't turn this gift down and I really wanted to share this with you as a blog post instead of an Instagram photo only because this is one of the most special things I own right now. Guys the packaging of this product was beautiful (Pandora eat your heart out) - it is so apparent that Soufeel want to go that extra mile to make the recipient or occasion special. I was in awe how neatly wrapped and cute everything was. I also did not expect to receive the personalised charm as I had chosen a memorable one - when the personalised charm arrived, I almost cried. Every single one of the above charms means something special to me (I asked for two Capricorn charms, one for me and one for my late baby sister who was also a Capricorn) - but the personalised one simply melted my heart. The charms are also greatly sized so they fit on the bracelet perfectly which I am so happy about - I was worried the charms may be bulky or chunky and I wouldn't be able to wear it everyday. The product reviews on the website are all positive which is no surprise as from placing an order to product quality, the experience is pleasant (the hardest bit was probably choosing the charms). It is important to note all SouFeel products are made of 100% sterling silver which they guarantee with a compensation clause. Their competitive prices and diverse products should make Soufeel your first point of call for jewellery that harbours your best memories. 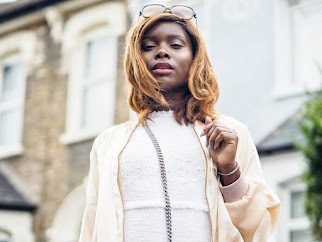 If you like what you read/see on my page then please follow me on bloglovin' (link below) that way you never miss a post!